NEIGHBOURHOOD SUPPORT WAITAKERE (based at Te Atatu Police Station) 834 5815. 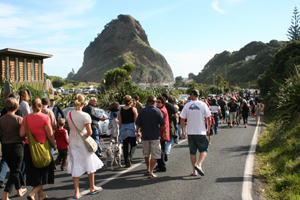 PIHA NEIGHBOURHOOD SUPPORT GROUP: Email: PNSpiha.seaview@gmail.com to obtain more information about the Group, become a member, or report incidents or suspicious behavior. Neighbourhood Support is a community owned programme that aims to make our homes, streets, neighbourhoods and communities safer and more caring places in which to live. Neighbourhood Support works closely with the Police, Civil Defence and many other organisations to reduce crime and to prepare people to deal with emergencies and natural disasters in their community. Information about local crime, appropriate crime prevention and safety advice is provided to neighbours through participation in a Neighbourhood Support Group. Members will receive a weekly crime report via Email from Henderson Police Intelligence, supplemented with local information regarding criminal and suspicious activity. There are no membership fees and only one meeting to attend annually.